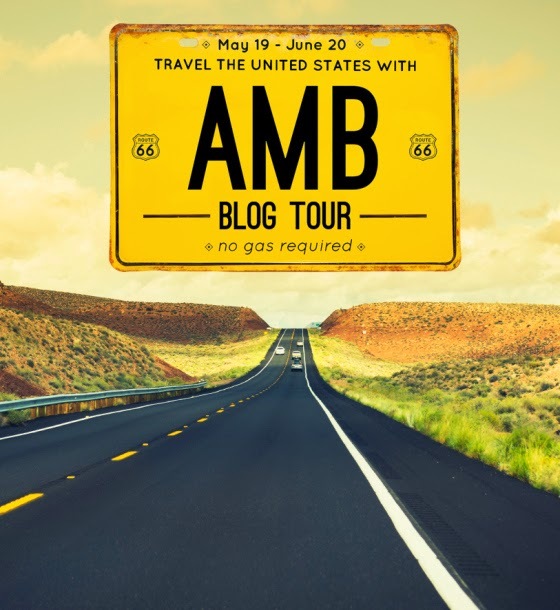 olive and ollie: American Made Tour: Ohio license block and a giveaway! Great block! I live in Colorado, where we adore our Rocky Mountains. Love to spend time in them during the summer. Thanks for the giveaway opportunity! I love the Ohio Star and how you decided to use it in your state's block. I am presently making 50 Ohio Stars for a quilt. It is a great, timeless block. I am your next door neighbor, here in PA. I love experiencing all four seasons in there fullest and the rolling hills of PA.
i love that block, what a clever idea! currently in maine which is lobsterville USA! we live practically right on the ocean and most seasonal places have opened for the summer...plenty of ice cream and seafood shacks now ready to serve! Thanks for the great tour. I live in Wisconsin. Most folks would brag that we are the dairy state but I cherish northern Wisconsin where I live for all the trees and lakes. Just beautiful in all 4 seasons! I have lived in Missouri my entire life in the suburbs of St. Louis. It's the northeastern edge of the foothills of the Ozark Mountains and we are blessed with many beautiful parks and natural areas that I enjoy going to and running, hiking and cycling on the trails. I also live in Missouri near St. Louis. So we have the Arch and Zoo to visit. One of the bloodiest battles of the Civil War was fought in Lexington, Missouri. I was born in Florida and have lived all over the US, but now am back in Florida which is pure coincidence as I have no family here! Hope to get out soon! I'm in South Carolina - Myrtle Beach on one side and mountains on the other. Thanks for the opportunity to win. I've lived in The Villages, FL, now for two years. I love all the activities in The Villages, but for a favorite state to live in, I'd have to pick North Carolina where we lived before moving here. I have always thought that the Ohio Star was very difficult to make. It is just really a pretty block. I am from Sonora, CA. We are the foothills of CA. San Francisco, which is about 2 1/2 hours away is noted for the Golden Gate and Bay Area Bridges. There is also a place called Fisherman's Wharf to go produce shopping or eating at restaurants. I actually grew up in Jamestown, CA. The famous train, which is No. 3 is still offering train rides. This was the train that was used in movies. 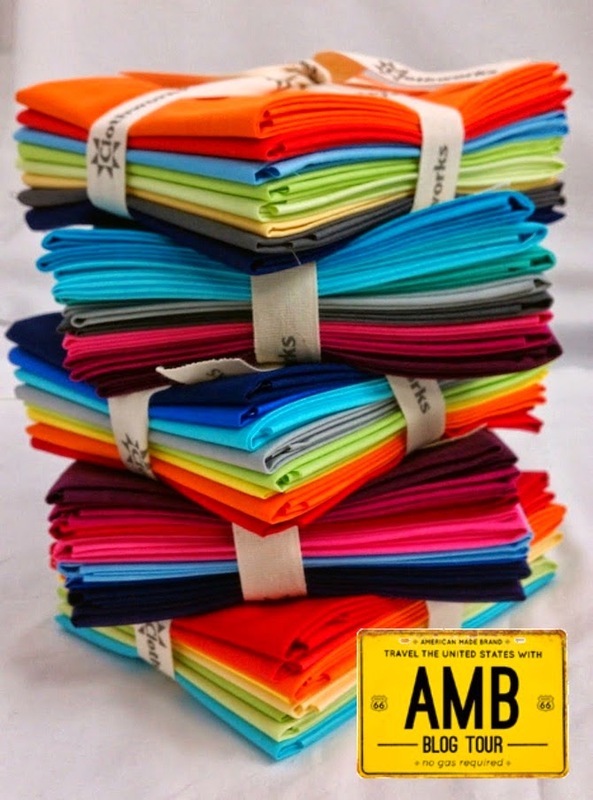 Thank you for the tutorial on how to make the Ohio Star Block and for being a part of the AMB Blog Tour. Hoping to become a winner of those awesome fat quarter solids. I am Ohio made.The Buckeye tree is ours, alone. I spent hours collecting those beautiful brown spheres in my backyard when I was a child and my grandmother helped me string them for necklaces. They are much harder than they appear and we often had to use a hand drill. What a great block. I have always liked the Ohio star block as the first quilt I recall is a family one with Ohio Star blocks on it. I am from Georgia. Atlanta has a lot of fun things to see and do. I live right next door in PA. My favorite thing about PA is that there are so many state and national parks/forests in our state to go and explore.....at least when I am not at my sewing machine. Thanks for the tutorial. I live in Arkansas along the Spring River. This town is tourist attraction for canoes and rafts. The season started last Monday and the river was packed. I love the Ohio Star block. It was one of the first blocks I learned to sew. I live in Mississippi on the gulf coast. Perfect concept for the Ohio plate! I live southeast of you, in the mountains of Virginia, known as Four Seasons country. Turned out great as usual heather! Really like the traditional star block you used...really Ohio! I on the other hand live in the "mitten" state of Michigan and boy did we need those mittens this past winter. I like the seasons and the changes they bring just could do without the extremes! Love the use of the traditional star block! I'm in the "mitten" state of Michigan and do like the seasonal changes...just not the extremes we had last winter. I live in the Sunshine State of Florida. However, my BFF lives in Ohio, and I love to visit her, especially in the fall, when the trees are bursting with the colors of autumn. Thanks! I'm from California, the land of drought and record heat in May. Really love your Ohio block! Very cute block. We love Wisconsin! Forests, lakes, hiking trails, the Packers, and cheeses of every type. What's not to love? I am from Virginia, but you can't take Texas out of a gal born there. My hubby is from Ohio, though. So your block is special to me. I have now lived in Kentucky for more than half my life. There is lots of lovely scenery in the state, and the horse farms in central Kentucky are gorgeous. It has a nice mild climate too. Thanks for the great tutorial Heather! I love Florida and always being close to the ocean and feeling the sunshine on my back! I live in Pennsylvania and absolutely love the fawn and flora. 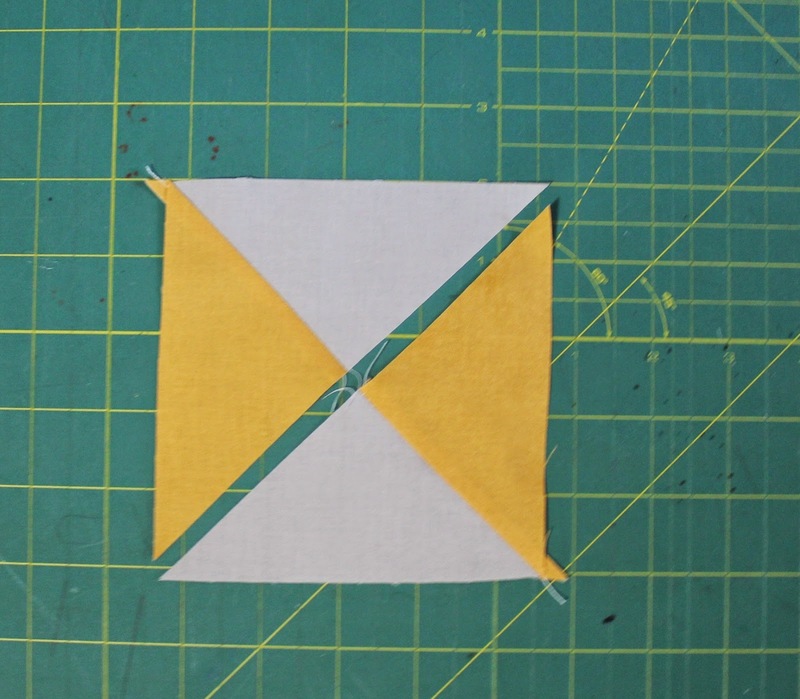 The Ohio Star is one of my most favorite quilt blocks so I am looking forward to making yours! I live in New York State, near the shores of Lake Erie, which you probably know governs our weather! Makes all four seasons an experience :) Love your Ohio start block! I live in Oregon. Most of the country's commercial hazelnuts are grown here, including on our farm. My current home state is Colorado. I think an amazing thing about our state is our wildlife. Love the block, Heather! And I had to smile when I read your post- I was taping my block to the window just this morning to transfer my Texas lettering too! I'm going to have to try out that thread, it looks gorgeous on your block! I live in Florida and until 2 years ago I lived in Panama City Florida. Where the World's Most Beautiful Beaches are located. The sand is pure white. Not brown. I now live in Orange Park, Florida which is just south of Jacksonville and I am an hour away from the beach. But the sand here is dark not are nice as Panama City Beach. I currently live in California close to the beach. What lovely cool breezes and the best weather! 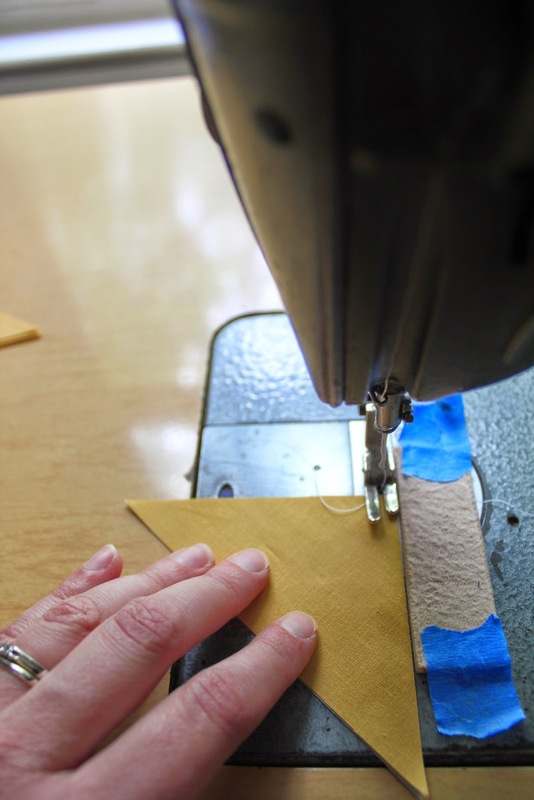 Blog tours are great because you get to 'meet' so many fabric lovers. Born & raised in CT. We had access to so many states and activities, and it's right on Long Island Sound. Cool block! I am from Connecticut it is a beautiful state with great beaches and rolling hills the fall colors are amazing also. I am in Nevada about 90 miles from Las Vegas. Pretty hot summers but no snow in the winter. Great job on the block. I am from Mississippi where we have all types of land from the water to the pine trees and to the cotton fields. I live on the Gulf and enjoy the beautiful water and fresh seafood. I'm from Washington State, on the Western half. We have 4 mild seasons & beautiful green evergreen trees. Born and raised in England my husband and I moved to Florida 11 years ago. We love the weather, nearby theme parks and beaches! I live in the beautiful state of Oregon. Lovely mountains and wonderful coastlines all in one state. Your block is great. Love the idea. It will look fabulous with all the others in the final quilt. I'm the NY block. I'm an Ohio native, but transplanted to Texas. I keep my lucky buckeye amulet by my side! Hello from South Texas - I live east of Houston - we love our beaches and our bbq - lots of outdoor activities all over the state. Love how you shared your whole process of designing your block. I live in Oregon where two thirds of the state is actually desert or semi-desert. I live in Oregon, and adore the nature and beer! Well, I live in beautiful, Northumberland....in the north of the UK, we have stunning hills and beautiful beaches but we do love the USA and visit at least once a year. We have very good friends in Illinois and have a standing invitation to visit, we havnt been anywhere in the States that we dont like! The Ohio Star is a great block, I use it often. I live in Wisconsin. Here we have lots of green space, even in the cities. Snow in abundance in the winter and flowers and trees in the other three seasons. I love fall here, the leaves change and the colors are wonderful. Plus we have a big blue pond called Lake Michigan! I live in ABQ, NM, home of the Balloon Fiesta. Lovely block. I'm a native Hoosier--neighbor to you buckeyes! What else but an Ohio Star for an Ohio plate!!! Thanks for the chance to win. Love your blocks! Such a fun take on the Ohio star. I live in southern California and close to the beach which I don't seem to visit as often as I'd like! I live in Hawaii where rainbows are plentiful! We are the only state with a royal palace! we have three rivers and lots of bridges. with all the recent rain everything is very green. Georgia, I live in the town that has Finster fest and Howard Finster lived and my nephew's band is playing there this Sat. I'm from South Carolina.They have beautiful mountain country in the northwestern part of the state and beautiful beaches like Edisto beach in the eastern part.I love the food there- especially the boiled peanuts. NJ combines the best of both urban and rural in a relatively small state. I'm from Pennsylvania, right next to Ohio! Both are beautiful states! I live in the bluegrass state! Kentucky! Hello from Illinois, the Land of Lincoln. Most people think only of Chicago when they think of Illinois, but there is so much more to this state. I live in Seattle, Washington where have water and mountains all around us. I live just a mile away from the beach (still in the city), and at night in the summer we can hear the sea lions calling back and forth to each other. i grew up in the Land of 10,000 Lakes, Minnesota. I currently live in the Lone Star State of Texas. There is lots to see here. from the seashore, to the piney woods, to the prairie and the deserts. I live in California. Mountains, beach, desert are only a few miles away. Mild winters, lots of sunshine. Got to love the boring! What a cool idea on making the Ohio Star into License plate size. I live in Washington State and love it here. I can't bear the heat like I did at one time, so this is the perfect place for me now. It has the best 2 weeks of summer! lol -yep that is the rain joke. :) We are also an hour away from the beach. Oh, I love your block!! And I'm so glad to hear what thread you use to embroider. Never would have thought to use that. I like the texture it adds. Well done! I now live in NE Ohio, but will be going back to east central Ohio as soon as I retire. I'm from PA, but within a few miles of the Ohio border. Several of my ancestors were from just over the border in Ohio, so I feel a kinship with you. I love the rolling hills of western PA, and the friendliness of the people. I grew up in Minnesota, Land of 10,000 lakes. I have been in Kansas for over 35 yrs now. Wichita has a great zoo and botanical garden that I love to visit. A very clever block - love the partial Ohio star. I live in WNY: My favorite vacation spot would be camping in the Adirondack Mts upstate. I live in Wyoming County which has more cows than people! Love your block! I'm a Kansas girl, love our windy state! Great idea for your block. I live almost in the center of my state which is NC. I can drive to the mountains or the ocean in a couple hours. What ever fits my fancy. Thanks for the giveaway. Although i've lived in Texas over half my life, and have a great life here, my home state is South Dakota...specifically the Black Hills area. I still miss the wonderful scents and views after all these years. I love your block. I live in Virginia where I grew up in a coal mining community. We have soaring mountains and beautiful trees and flowers. My home is in South Carolina where we enjoy both the mountains in the upstate and the beautiful beaches along the coast. I enjoyed coming to Ohio for Quilt Festival & even got to meet you last year, I was part of the group that stayed with Jill. It was a disappointment when we heard the show wasn't going to be in Cincinnati anymore. I'm from IL and now live in VA. IL is one of those great Midwestern farming states and I miss the rich black soil of my home state. As my hubby is known to say, " if you drop a seed on the way to the garden, it will grow where it falls"
I'm in Illinois and love downtown Chicago. So many things to see and do, especially during the warmer months. I'm from California and a little known fact is that the city I'm from single handedly caused the change in the SAT format since my high school was consistently producing one or two perfect scores each test. They realized we were all going to SAT prep school which gave us an edge over the whole country so they reformatted and added an essay portion. Now you can find sat prep and kumon schools practically everywhere. Thanks for the chance! I live in western Washington where it is beautifully green all year. Unfortunately, the rain is what makes it so green and I quilt in bright colors during the rainy days. O h i O ! That was the perfect block for Ohio! I feel loyal to Ohio because I was born there right after WWII. I live in Wisconsin. Today we are having a beautiful sunny day. Our summers are short but the temperature is never terribly hot so we can enjoy every single day. I live in Missouri where we love our Arch, the Zoo and the Cardinals! I'm your neighbor over in Michigan. We are known, of course, for being preferred by 4 out of 5 Great Lakes! My home state is CA. I love it because it's filled with beaches where I live. There are so many fun activities to see and do year round and most of all the weather is great. New York - all 4 seasons, big city, small towns, ocean, rivers, lakes, mountains what more could you wish for. I live in the Shenandoah Valley in Virginia, between the Blue Ridge Mountains and the Appalachian Mountains. This area is an agricultural area.The Ohio star is one of my favorite quilt blocks. I am from the plains in Colorado, because of the mountains people forget about us! But, we have great views of rolling prairie where you can imagine all those folks from the past trekking across in their covered wagons wondering JUST HOW FAR are those mountains! Because you can see them at least 150 miles away, I am sure with no pollution in the past it was even further! Love your block! & using yellow, reminds me of a Sunrise! Way cool!! I'm also from Ohio. We have the Rock Hall in Cleveland, and the Football Hall of Fame in Canton...& Cedar Point in Sandusky...just to name a few cool places around here. I am from Missouri, the northwest corner. There is alot to see here, the old west is remembered in St Joseph with Jesse James, Pony Express and some of the old buildings here are architectural beauties. Your Ohio star license plate is really nice. Thanks for the opportunity of the give away. Great idea for your block! Was born in Michigan and there is nothing like the Great Lakes! Live in Missouri and "Big Muddy" has it's own kind of grandeur. I live in Napa, California which is known for wine, but also has some of the prettiest countryside. Heather, Exclude me from your giveaway, but your block is really fun! LOVE the cropped block! Great tutorial, too! Very pretty! I'm in Illinois, where it's all flat! I live in North Carolina, home of Mount Mitchell, highest elevation east of the Mississippi. Thanks. Fantastic block. Wisconsin---home of the Green Bay Packers, lots of cheese and brats, lots of cows (dairy state), Circus World Museum, lots of woods and lakes, etc. I could go on and on! Hi from Louisiana. I live in New Orleans which has so many fantastic neighborhoods and architecture but mostly it's all about the food! great block ! I live in Florida, we have many fantastic beaches. the Daytona Speedway. I have citrus trees in my yard. I live in North Carolina. We have beaches, piedmont and mountains. I lived in Dayton, Ohio in 1988 and 1989.
i live in Kentucky currently which is the home of the national quilt museum! great collection - so inspiring. What else could represent Ohio so perfectly. It makes a outstanding tag. My State, Oklahoma, is beautiful. Most people do not know that we go from green, mountain country, to an almost desertlike land. We have the Wichita Mountains in the SW. Many great museums from fine art, to state history,Cowboy, Native American,Military that are so amazing, you wouldn't believe the art they contain and beauty. We have bookoos of lakes and great recreation at them. I could go on for hours about this amazing place but there isn't room. I live in Georgia, a transplant from the northeast. The Georgia coastal barrier islands are gorgeous and we spend a lot of time there. I love NC because it is my home and has been the home of my ancestors for generations. Cabot cheese ( I grew up in the town of Cabot)are two popular products made in Vermont. I live in beautiful Northwest Florida, near the Alabama border. It is on the Gulf of Mexico and we have beautiful white sand beaches, lots of sun (hurricanes too) but we love it here after being here over 40 years. Wouldn't live anywhere else. I was born and raised in northwest Missouri. It is know for the starting place of the Pony Express and also where Jesse James was killed. Our state has the Mississippi River, Missouri River, Ozark Mountains, rolling hills, flatlands, bluffs, and several lakes. Your license plate is very pretty. I am a transplant to alabama. Never expected to live here but it is a lovely state. Mountains in the north and the gulf in the south. I live in New York. There's much more to New York than NYC. I'm in the Finger Lakes region which is just beautiful. New York has mountains and valleys, farms and cities, four seasons, Niagara Falls, the Adirondacks and Catskills, the Erie Canal, etc I could go on forever. It's a great state. I live in Vermont, one of the most rural states. I like being able to do things outdoors, and enjoy scenery when driving with no billboards! We also have great maple and cheese products. I like the Ohio Star block too. My home state is Beautiful Ohio, and I live right up the road from you in Dayton. :-) I love living in and being from Ohio and have lived several other places (Mass, LA, and New York), so I do have something to compare Ohio to. I love the change of seasons, the friendly people, and the combination of culture and countryside here in Ohio. My home state is originally New York, actually, Long Island, NY. It's very different than "upstate" but I live in PA now, and love the mountains and lakes and less humidity. LI has beaches and lakes, and summer humidity. Great idea for the block! Nice job with your block…creative idea to cut it like that. I am from CA, born and raised. I lived in the SF bay area…just miles from the Golden Gate Bridge, Ghiradelli square, and Chinatown! The Ohio Star is one of my favorite blocks! I live in Georgia and love to visit the mountains on the north and the beaches in the south. Beautiful block, Heather. I really like that you posted instructions. I would not have thought to build the block and cut it down. I'm Louisiana and shared the debut date with you. Hope you got lots of visitors to come by and see you're lovely block. That's a clever block! I live in New Mexico, the Land of Enchantment. Lots of big sky country, and the best chile in the U.S. We love both our red and green chile here. Don't live there now but PA is home, love visiting Amish country! I live in beautiful Charleston, South Carolina. We have great food and lovely beaches as well as a lovely, historic downtown.. And I can be in the mountains in four hours. Love you Ohio star block! I am from the great state of Texas. The main thing about Texas is that most people don't understand how big it is! I like Ohio Star, but I love all stars! I was born and mostly raised in Utah. It is a desert state, but mountainous. The valley floor where I live is 4800 ft above sea level! There's mountain peaks around me that range from 9,000 ft to 12,000, and the highest road on one of them is 9,000 ft. The views from the high road down into the valley are amazing, and my favorite time to drive these canyon roads is in the autumn. The mix between pine, spruce, aspen, maple, oak and others is a crazy beautiful patchwork of color. The backdrop of granite, sandstone, and iron-rich red/orange dirt is just amazing. Great post and really useful information to read. thanks for sharing this post. My current home state is sunny CA (a place I vowed never to live, but have ended up loving it), but I grew up in northern New Mexico. It was beautiful, but the ocean would be a hard thing to leave now. Wonderful block! I do think of the Ohio Star block when I think of Ohio. I go to visit once when I was a very young teen, my Aunt and cousins lived in Sandusky. Thank you for sharing your lovely block and the great tutorial. Love your Ohio star block! I'm from Washington State, which has beautiful mountains, lakes, rivers, and lots and lots of trees. Thanks for he giveaway! I currently live in NC. We have everything, mountains, ocean, forests, whatever you desire. It's a great state. Your license plate looks really nice. I have lived in California for the last 26yrs, so over half my life. I live in the upper part, where it's full of mountains, lakes, rivers and creeks, and yet we also have acre's and acre's of farmland and orchards. A wonderful mix of terrains. Thank you for a fun blog hop. I was born in Colorado. There are prairies where the wind always seems to blow, mountains that always have snow, and national parks that always have tourists. Virginia! Blue Ridge Mountains, Colonial Williamsburg, lots of historical sites, and the beautiful Shenandoah Valley where I live. I love your block! I used to live next door in WV, and I have visited Ohio. I love the Ohio Stars block. I love the inspiration behind your block. I've lived in Georgia for about a third of my 58 years so I guess it is home now. The best thing I've found here is hospitality. Atlanta is a welcoming and neighborly place. Hello from Utah. Hot during the summer and cold during the winter. Love going up to the ski resort areas during the summer to cool down. I live in the mitten state just below the middle finger. We have beautiful camp grounds and lots of lakes. Great fishing and the fall is the best. Love your block - thanks for the tutorial! Hello from your neighbor - Michigan! Great block! I've lived in Texas my entire life. I love the variety of geography across the state, from beaches to desert! I love the food too. I am from Maryland near Annapolis on the beautiful Chesapeake Bay, sailing capital of the Eastern US. But I ate lunch in a restaurant yesterday which had an Ohio star in the floor design! I was with a group of quilters, so we really enjoyed seeing that. Also I went to school at Ohio Wesleyan and I have many good quilting friends in Ohio, so I have a place in my heart for Ohio. I love your block. Nebraska. Rural and quiet. Four different seasons. Love it. I live in Washington, but I consider Minnesota to be my home state, for that is where I was born and raised! Most people think of the many lakes in the state, but I grew up in southwestern Minnesota on the plains. Not many lakes, but beautiful rolling hills covered in either cattle, crops, prairie grass, or even some buffalo! I'm your neighbor from Indiana. My favorite parts of my state are the hills in Sothern Indiana and the Lake Michigan shores. I'm a native New Yorker - upstate. I loved picking apples in the fall. Still miss that! love your license plate, simple and elegant. my home state is texas, need i say more? Hmm. My home state is Texas, but now I call DC home. Which is not technically a state! Did you know that the DC budget has to pass Congressional approval? We have all sorts of extra red tape, as you can imagine! I love Ohio Star blocks. This done in solids is beautiful. I live in Colorado. Lots of color and beauty, but more than our share of floods and mudslides at the moment.I think there is a color for that! LOL!! I live in Pennsylvania, where we have had some weird weather this year. Days where the high is 75 and the next we have snow. I live in a little town where everyone loves to go hunting. I came from the west coast, so this is quite different then I am used too. I met my very best friend in OH when I worked at Cedar Point! I'm actually from WA though (yep, long way to travel for summer work!!) where we have gorgeous mountains, lakes, and forests. I live in NC, which has the Blue Ridge Parkway and the Outer Banks, I live between them, I'd like a mountain house DH prefers a beach house, but until we have the money, we won't fight about it. Great state plate block. That's a cool block! I live in WA state, which some people don't realize ranges from super soggy areas to dry almost desert conditions on the east border too. Thank you for the giveaway! I'm from Dayton, Ohio and a lifer! I love your block and I've been trying to work some embroidery in, so maybe I will try yours, great tutorial! Thanks for the giveaway! How perfect- Ohio Star. And I really like how you cut it. Great block. I'm from Massachusetts right outside of Boston. I'm a Red Sox fan and enjoy eating as much lobster as I can afford. I grew up in NW Ohio and after much travelling, now live next door in North east Indiana. Your block is perfect for Ohio! I am from Rhode Island but go back to Ohio every couple of years to visit family. Love the Rock N Roll Hall of Fame and the three major zoos in Ohio! Have always like the Ohio Star pattern. I am a fellow "Ohioan"! I really want to win these solids. Now I'm off to look up the other state blocks………. I always loved the Ohio Star block and like that you used it for your plate. My home state is Massachusetts where there are lots of beaches and bridges. I love your block! I am nearby in NY - though I did spend 2 years on Buckeye Lake - loved it! I am in the western part of NY - rolling hills, farms, vinyards, small towns, and lots of lakes. My home state is Maryland, which is fabulous! Try a crab cake if you visit. Wisconsin is home to some of the most gorgeous tree filled country you could imagine. It's bitterly cold in the long winter, but then things burst into such luxurious richness that you can barely believe it's real. What a fun block! I'm from South Dakota... I love it here :) Home of Mt Rushmore, the Corn Palace and Laura Ingalls Wilder for 5 of her books... Just to name a few highlights! I live in Tennessee and it's VERY green here! Lots and lots of trees and water! What a clever license plate for Ohio! :) I'm from Wisconsin where you can make a great snowman! My home state is Georgia. I have always love the Ohio Star block! That's a great block! I'm in Wyoming. I love that we have a lot of different kinds rocks (and fossils). Love your very traditional block - how appropriate! Kansas has beautiful flat fields of golden wheat in the western 1/2 of the state, and the beautiful Flint Hills with hills, rocks, tall prairie grass and trees in the eastern 1/2. I live in Southern Utah surrounded by 7 National Parks and Recreation areas. We have mountains, desert, red rocks and the Grand Canyon. It's a gorgeous place to live. Love your license plate design. Thanks. I am a native northern Californian and can't think of a better place to live. Love the Ohio Star block. Such a classic. I am a close neighbor of yours! Indiana! Right now it is a beautiful place to be. Beautiful cool mornings and pleasant days. Of course you had to use the Ohio Star - it's perfect for the license plate! I've lived in Illinois all my life. We have great shopping of all kinds here, from antiques to quilts fabric & more.